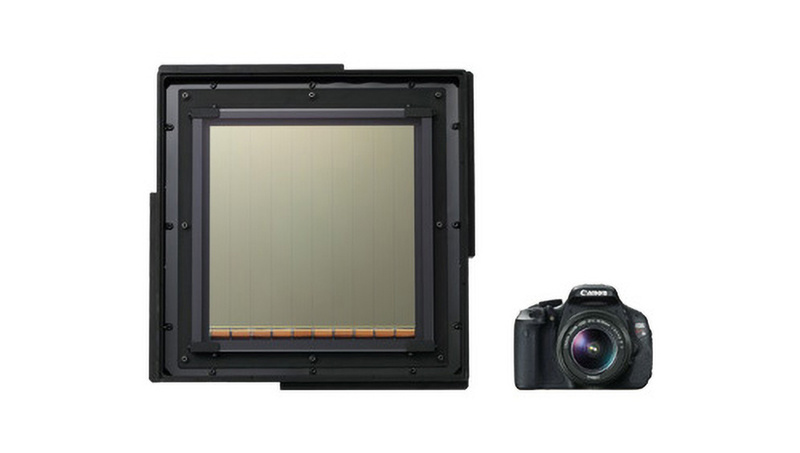 In the pursuit of further improving the sensitivity of imaging elements, Canon has embraced the challenge of achieving higher levels of sensitivity and larger element sizes while maintaining high-speed readout performance, and has succeeded in developing the world’s largest class of CMOS image sensor measuring approximately 20 cm square. At present, the standard diameter of the silicon wafers on which CMOS sensors are fabricated is 12 inches (approx. 30 cm). 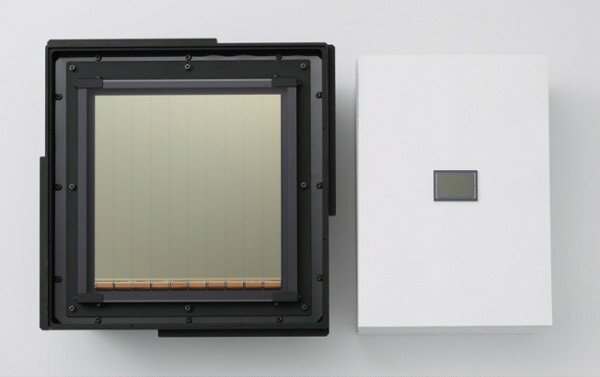 As such, a 20-cm-square sensor is the largest size that can be manufactured based on these dimensions, and is equivalent to nearly 40 times the size of a 35 mm full-frame CMOS sensor. The sensor is the largest that can be produced on a standard 12-inch silicon wafer, as it features a massive 11-inch diagonal. It is unclear what the actual resolution of this sensor is, but it is naturally the most sensitive in the world. It could be used in application like astronomy recently led to the discovery about the frequency of meteor activity around Earth.